In the early 1900's, the social work movement in America created many programs and services that we largely take for granted today. Social workers addressed the basic needs of the poor and immigrants, by promoting safety and sanitation initiatives. The early American social workers were also advocates for issues that continue to be goals of the profession today, such as increasing access to suitable housing and medical care, obtaining fair wages, and providing health and life-skills education to the community. They worked to improve the experience of childbirth and were in the forefront of the movement to control alcohol and narcotic abuse. Early social workers recognized that poverty and lack of education could exacerbate illness, and were crusaders for social equality. Thus social work and health care shared common goals and objectives, which fostered physician-social work relationships. Dr. Richard Cabot, a senior physician at Mass General, hired the first social worker in 1905 to provide social work services in the outpatient clinics. In 1906, Dr. Cabot met Ida Maude Cannon and hired her to jointly organize the nation's first hospital-based social work program. Of Cabot, Ida commented, "He was presenting the idea of social service within the hospital where sick patients, although separated from their home and families, nevertheless cannot separate themselves from their personal problems." At the time, Ida Cannon was enrolled in the newly established Boston School for Social Work (now Simmons College). Upon her graduation in 1907, Cannon joined Cabot's staff as a permanent member. Ms. Cannon had previously been a visiting nurse, but found her nursing skills insufficient to meet the psychosocial needs of her homebound patients and families. Ms. Cannon was profoundly influenced by Jane Addams after hearing her deliver a speech on the poor health conditions of children living in slums. Ms. Addams became most noted for founding the settlement house movement in the United States with the opening of Hull House in Chicago. She was also instrumental in providing food and clothing to women and children of enemy nations, which was socially and politically unprecedented. Ms. Addams' work so inspired Ms. Cannon, that Cannon redirected her professional energy from nursing to social work in health care. In 1914 Ms. Cannon was named Chief of the Mass General Social Service Department, the first organized social work department in a hospital. This was a significant appointment as only three Chiefs functioned in the hospital at that time, Chief of Medicine, Chief of Surgery, and, then, Chief of Social Work. The social work program was further developed under her tenure and became a department at Mass General in 1919. At its inception and for the first ten years, social workers provided care in the out-patient clinics. The focus was not only on the patients' medical care but also broadened to include community and environmental awareness as it impacts patient care. Mass General social work services began by helping patients afflicted with neurological ailments, venereal disease, and tuberculosis. From its inception, the department of social work was interdisciplinary, including physicians, nurses, teachers, and volunteers, and Ms. Cannon's goals were to "make medical care effective" and, in particular, to "cure consumption". Tuberculosis accounted for one-third of all deaths of people between the ages of fifteen and fifty-four, inflicting severe emotional and economic strain on patients and families. Once it was revealed to be a communicable disease, a committee of social workers investigated the social correlates of tuberculosis, such as incidence, symptoms, severity, and possible means of prevention, and then made recommendations which became integral parts of medical treatment. These social workers were the first professionals to perform a comprehensive analysis of tuberculosis in the United States. The Mass General social workers also addressed the needs of unmarried pregnant adolescents and children with orthopedic problems. Ms. Cannon created specialized programming in the department, and insisted that social workers have sufficient medical training and that nurses who wanted to be part of the department get training in social work and casework. The department created innovative and eclectic programs, such as clay modeling classes for patients with "nervous disorders" (those we now identify as psychiatric disorders), and "hygiene education" primarily for adolescent girls and young mothers. They developed affiliations with convalescent homes, planned country outings for those with "nervous disorders," and researched the effects of lead poisoning. The department also established a low-cost lunch counter for patients and staff. Social work training emphasized understanding the individual in the larger societal context. Ms. Cannon studied the effects of occupation on disease and encouraged the social workers to examine how environment affected illness. Ms. Cannon was a strong advocate within Mass General for treating patients from the inner city, rather than depleting all the hospital's resources by treating affluent suburbanites who likely had access to other resources. Ms. Cannon and Dr. Cabot implemented systems to measure social work interventions, to document these interventions in medical charts, to collaborate with medical professionals, furthering the profession of medical social work. Their work promoted the expansion of the social work role in the hospital and the inclusion of the social perspective as a regular part of the medical treatment plan, for instance they began what we know today as "rounds". In a 1930 address Ms. Cannon stated, "The medical social service movement recognized that there should be within the hospital, someone definitely assigned to represent the patient's point of view... And to work out with the physician, an adaptation of the medical treatment in the light of the patient's social condition". To realize this goal, interdisciplinary rounds with social workers were begun, and continue to exists today. In her effort to broaden the scope of the profession, Ms. Cannon hired the department's first educational director, Harriet Bartlett. Ms. Bartlett wrote the first textbook, Social Work Practice in the Health Field, and was also a well-known social researcher. She created educational programs, which helped social workers clarify the function and quality of their work, and to broaden their professional growth. She also established supervisory processes, social work student fieldwork, and clinical case conferences. Her work and expertise became recognized beyond the department and the hospital and was implemented in the broader field of medical social work. Dr. Cabot and Ms. Cannon successfully collaborated at Mass General for 40 years. They created a department that combined sound clinical practice with political action and community service. Dr. Cabot and Ms. Cannon traveled extensively throughout the United States and abroad, lecturing on their seminal work. They were both instrumental in the establishment of several national health-care and social service organizations. Ms. Cannon brought her ideas to hospitals throughout the United States and helped develop a standardized program for training medical social workers. Ms. Cannon also assisted in founding the American Association of Hospital Social Workers in 1918 and was the recipient of the Massachusetts Public Health Association's Award for Distinguished Service. Since 1971, the Ida M. Cannon Award has been presented annually to an administrator of a social work department in a health care setting who has demonstrated outstanding leadership. This is the highest award given by the Society for Social Work Leadership of the American Hospital Association. Many of Ms. Cannon's early principles of sound social work practice, especially her strong patient advocacy, continue to represent core values for practitioners of her profession in the dawn of the 21st century! Ms. Cannon retired in 1945, and Josephine Barbor succeeded Ms. Cannon as Chief. By 1945, the department was fully integrated into the hospital and included 31 social workers. Ms. Barbor was a proponent of education and research into the social needs of patients and families. She also was a strong advocate for her staff. She recognized the emotional strains for patients, families, and staff, incurred by constant exposure to devastating illnesses. She had been a social worker on the front lines of World War I and saw the devastating effects that illness and trauma had on one's emotional health. One of Ms. Barbor's innovations was the creation of safe, private waiting rooms and meeting places within the hospital. Ms. Barbor was also committed to working with the Supervisory Committee, comprised of Cabot, other key physicians, ladies in the community (Ladies Visiting Committee), and hospital administrators, to secure hospital finances and oversee department work and department finances. Today's "endowments" (funds to assist patients and their families) grew out of these early fiscal efforts. As the multidisciplinary approach to health care developed, physicians and nurses increasingly relied on social workers to address the interrelationship of physical, emotional, and social factors in the diagnosis and treatment of diseases. Social work practice expanded to patients who were stricken with polio, cancer, heart disease, venereal disease, and as aforementioned, tuberculosis. This was an exciting era for social workers, because it was the first time they were fully integrated into patients' medical treatment. Their caseloads increased dramatically, and the department was challenged to provide high quality treatment to a growing patient population with ever increasing social needs. They adapted their practice, learned new techniques, and continued developing trusting relationships with patients, while providing compassionate, competent care. Eleanor Clark, who had also been an Mass General social worker, succeeded Ms. Barbor in 1964. Ms. Clark's expertise was in outpatient psychiatric social work, and she led the department during an era of sweeping social reform. During Ms. Clark's tenure, Medicare and Medicaid funding for the first time provided universal access to health care for the nation's elderly and indigent populations. Noted for innovation, Clark developed the Transfer Office and the Adult Foster Family Care Program. The Transfer Office assured continuity of care for patients from the hospital to the community, through a team of social workers and continuing care nurses. The Adult Foster Family Care Program provided foster care as an alternative to nursing homes for elderly patients, and was later expanded to include persons with disabilities and HIV. This program is an active part of the Social Services Department today. Together with an Mass General trustee, (Mrs. Jane Mortimer Clafflin) Ms. Clark was also instrumental in the creation of the Chelsea Health Center, which continues to be an integral part of that community. In early 1984, Eleanor Clark was promoted to Associate General Director of Mass General, the first woman to hold this position. She was given responsibility for designing and implementing hospital-wide programs for the elderly. Sadly, she died later that year. Named in her honor were Clark House Nursing Home and the public square adjacent to the former Chelsea Health Center, which she had co-founded. An award for innovative program development was also created in Ms. Clark's honor and was instituted by the national Society for Social Work Leadership in Health Care. Evelyn Bonander followed Ms. Clark as Chief in 1985. Continuing in the tradition of her predecessors, Ms. Bonander focused on strengthening clinical competence, creating socially relevant programs, and combining research and practice. Under her leadership, social work creatively and effectively responded to the increased pressures due to "managed care," including managed health care initiatives, health care budget crises and subsequent changes in health care reimbursement, and increasing patient care needs. She collaborated in the creation of a nurse case management role to assume accountability for medical discharge planning. The differentiation between case management and social work allowed social workers to assume greater clinical responsibility in patient care. Social work practice now focuses on helping patients and their families with their psychosocial problems, emotional responses to illness, and connecting them to supportive community programs. Ms. Bonander was instrumental in the founding of a new and highly specialized program for survivors of domestic violence, called HAVEN, Hospitals Helping Abuse and Violence End Now. This program has become an integral patient care program and has received much recognition in the community. The Mass General Social Service Department can also be credited for continuing to uphold its original mission despite fiscal pressures and budgetary constraints: strong clinical care, programs that address current psychosocial issues, and ongoing research and education. Clinical social workers are currently assigned to all inpatient-nursing units, to key ambulatory practices, the emergency department, and to all Mass General community health centers and outreach programs. In each of these arenas, we strive to make medical care effective by ensuring that the psychosocial, emotional, and financial needs of our patients are fully addressed. Throughout its history, the Department has continued to be responsive to the epidemics of the times. Programmatic innovation was the response to social problems of the day. Consumption (tuberculosis) was the "social epidemic" of the early 1900's. Today's programs address HIV -related care; the abuse and neglect of children, elders, and disabled persons; domestic violence; hospice care for the terminally ill; perinatal loss; trauma and burn services; and elder home care. We strongly emphasize patient education (Cancer Resource Room), and we actively promote numerous treatment support groups and peer support networks. Throughout its existence, professional and compassionate clinical care for patients and families has remained the central mission of the Massachusetts General Hospital Social Service Department. 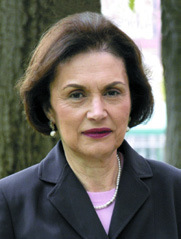 Ann Daniels was named the fifth director of the department in June 2005, the first director to hold a PhD. Today, Mass General social workers continue to be in the forefront of their profession, initiating new programs and services to meet the changing needs of patients and families. Social workers were recently made a permanent part of Mass General's disaster response teams and delployed in Indonesia and the United States Gulf Coast. Now with a staff of over one hundred, the department looks forward to new leadership and continued growth and innovation. Marie Elena Gioiella, MA, MSW, LICSW has worked at the hospital since 1994 as a clinical social worker and has served as clinical director of the MGH Social Work Oncology Program since 2006. Gioiella earned a bachelor's degree from the College of the Holy Cross and two master's degrees in Social Work and Pastoral Ministry from Boston College. During her career at the MGH, she has been an active member of the Clinical Recognition Program Review Board, the Disabilities Awareness Council and the Cancer Center Community Outreach Program. She has been recognized with a number of honors, including the Domestic Violence Unsung Hero Award, the Arthur and Susan Durante Award for Exemplary Care and Service with Cancer Patients, and the Stephanie Macaluso Expertise in Clinical Practice Award. She also has been named a Clinical Scholar by the MGH Clinical Recognition Review Board. Gioiella has published extensively and presented her work nationally. Bartlett, Harriet M. (1961). Social work practice in the health field. National Association of Social Work. Cabot, Richard C. (1912). Social services and the art of healing. Moffat, Yard, & Co. New York, NY. Cannon, Ida. (1952).On the Frontier of Medicine: Pioneering in Medical Social Service. Harvard University Press. Cambridge, MA. Trattner, Walter. (1994). From Poor Law to Welfare State; A History of Social Welfare in America (5th edition). The Free Press. New York, NY. Hensley, S., Jaklevic, M.C., Pallarito, K., Shinkman, R., and Snow, C. (1997). Health Care Hall of Fame. Modern Healthcare. Clark W. Bell.